Alter The Press managed to sit down with New York's own Matisyahu prior to his sold out headlining show at London's O2 Islington Academy. Matisyahu spoke to ATP about how he spends his downtime in London, his new album 'Light', success, playing the legendary Vans Warped Tour and more. Alter The Press: How is it to be back in the UK? Matisyahu: So far so good, just a little bit surreal. I was in Israel for a month, and now waking up on a bus, in London, is cool. We are only here for one night but it's a cool place. ATP: You are no stranger to London. How have you spent your downtime here in the past? 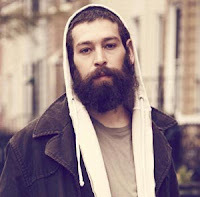 Matisyahu: I've taken walks in Hyde Park, went to Golders Green (Jewish suburb of North London), eaten out there. I tried out a class at the learning center there, but I wasn't so into it. I have a friend, who is a psychiatrist, who is a very interesting man, who I go visit. I stay busy. ATP: Can you touch on briefly how you got into music? Matisyahu: Just listening to music, really being into it, loving and figuring out how I can express myself in music. It's how it all started. When I was kid, I was into performing, acting in musicals, choruses and started writing lyrics, poems, starting performing to friends, beat-boxing, rapping and playing the drums. ATP: Your new album, 'Light'. How would you compare it to your last release, 'Youth'? Matisyahu: 'Youth' was made with one band and a producer who was relatively hands off, and in a way that was in a period of months. The new record was made in over a year. The songs were written with multiple people and musicians who are friends of mine, in different styles and different ways, who got brought together. We did some stuff in Jamaica, we brought in different mixers, then I went back in and worked with another producer, aside from the main one I was working with, an English guy called Dave McCracken, who did one of the songs. ATP: A lot of Christian alternative rock bands are getting a lot of mainstream success, considering rock used to be coined as 'devil music' by parents and religious families, as their songs are about God and religion, meaning that parents let their kids listen to it. Would you say your success has opened a lot of minds, like broken through to people especially in the younger Jewish community? Matisyahu: I think so. I think there has been breakthrough for a lot of the closed-minded, or people who aren't familiar with modern music in the Jewish community. It's opened them up to realize that yes, there are artists out there, especially within the movement of secular Jews, becoming more religious when they get older, and bringing their influences. I think there has been a lot more open-mindedness in the last few years. ATP: You played a few dates on the Vans Warped Tour in 2008. How was this for you? Matisyahu: It was fun to experience that and was a cool, fun scene. It's a fun way to travel as, when the show ends, it's sundown. On the parking lot, it's like 100 bands with all buses, vans, everyone brings out their speakers. It's like one big party. ATP: Considering it's a punk-rock orientated festival, it must have been amazing to get the response you received. Matisyahu: It was cool. One of my booking agents is responsible for the Warped Tour, and he spoke to me saying, it wasn't my main genre of music but a lot of the kids would be into it. We went into it knowing it would be a little different, by not being a typical Warped Tour band, but we hoped for a good reaction from people. ATP: Live videos made it online of you performing on that tour with Travis McCoy, lead vocalist in Gym Class Heroes. How did you hook up with him? Matisyahu: I had met Travis right before Gym Class Heroes took off. We had done a show together at a college and we met, had some time to talk, and he was going through some things that I had experience like having family out on the road and all that. ATP: Being on tour in Middle America, and especially in parts of Europe, do you find it hard to keep kosher? Just by looking at your rider now, it consists of chips, dip and fruit. Matisyahu: When I tour the US, I have a bus with a kosher kitchen, barbeque, frozen meat. I can make pasta, I can make eggs, just really anything I can make at home. When I'm not with my bus, in far out places, then yes, but usually, like in London, there will be a restaurant. Some places you can find yourself just eating chips, humous and carrots. ATP: Describe your pre-show ritual before you go on stage, let's say in London tonight, or before you go on stage in the US. Matisyahu: Today, I got given some pages from my teacher on Hassidic discourse, on love and fear and I plan on reading that, taking a walk, meditate on that, warm up my voice, hang out with my band, then go on stage. In the US, I usually carry around these big speakers with me and right before the show, I like to put on some good hip-hop music, reggae, rock and just jump around and stuff. ATP: What are you listening to at the moment? Matisyahu: I've actually not listened to a lot of music recently as I've been in Israel for the last month and a half, and kind of took a break from music. But now, I'll start stealing my band mates’ iPods for nights and days at a time, and start getting into new music. They have good taste in music, like my keyboard player got me into this band, Phoenix. ATP: What is planned after the European tour? Matisyahu: We go back and tour North America for two months up until Hanukkah, then do eight shows in New York called 'The Festival Of Light'. We do four in Brooklyn and four in Manhattan. ATP: In the past, you have played 'The Festival Of Light' shows on Christmas Eve and Christmas Day. Matisyahu: On Christmas Eve, it's going to be mostly Jewish kids coming to the shows. It's kind of fun because they are looking for something to do with all their friends, and its a great way for Jews to have some fun. But now my band is not Jewish, so I have to see what everyone is up to with their families. I might do a special show and put together some kind of Jewish all star band for Christmas Eve. ATP: Any plans to come back to the UK? Matisyahu: The new record has been released in the US, but not in the UK as the record company has not released it yet but, hopefully, the fans here will get their hands on it via the internet, the website, iTunes etc and then we'll be back in the Spring to do some proper shows throughout the UK. This show in London is the first time back to play some of the new songs and some music with the new band. Light is out now on Epic US.